"I recently did a Multi-Floor Media Display Network installation of remote high-resolution video displays with accompanying audio feed in lobby areas on two separate floors of a Government Agency's district office. The Commander wanted the ability to screen live satellite feeds, CCTV, local network information as well as a variety of in house presentations. 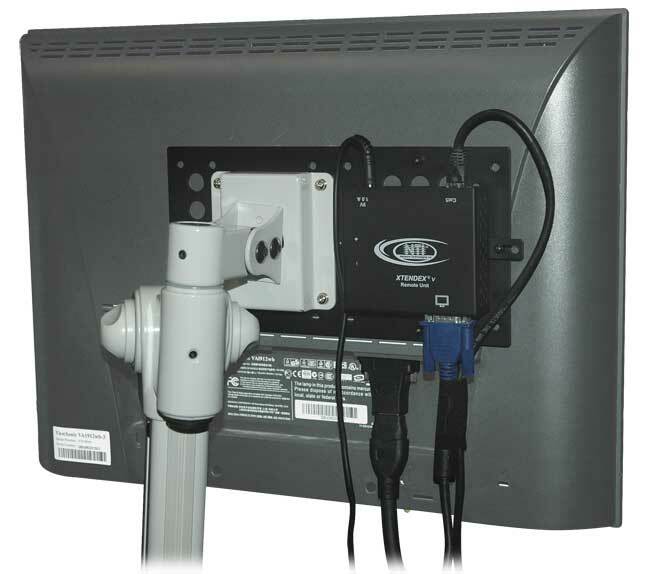 The head end equipment selected allowed inputs for DVD, VHS, satellite, CATV, Internet and LAN feeds. The signals were fed through a video processor which added additional features like picture-in-picture, freeze frame and zoom, as well as the ability to remotely control which one of the inputs would play the primary role on each screen. Since the monitors were to be located on different floors and in areas remote to the head end, Cat5 VGA extenders were used to insure distance, 600 feet, and resolution, 1280x1024. The ST-C5VA-600 and ST-C5V-600 products manufactured by Network Technologies Incorporated (NTI?) were used to accomplish this. 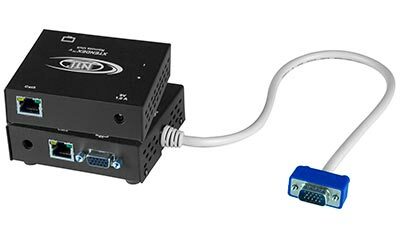 The sales and service from NTI has always been excellent, and the people you talk to when you call up actually know what they're talking about and the product they are selling."